Whether you are looking to fulfill school credit, to gain experience in a non-profit organization, or to work in an international environment, we offer great internship opportunities for you! You will work closely with the our Program's director as well as other employees and interns. You will be able to meet our supporters, international participants, and delegations. Interns volunteer at the 2017 celebration of International Women's Day. Bliss Rutonesha, our youngest volunteer, helped our organization immensely during the entire summer of 2017. To hear his thoughts, click the button below! Click Here for Bliss Rutonesha's Volunteering Summary! "Choosing to intern with the Columbus International Program was one of the best decisions of my undergraduate career. The experiences gained during my internship were extremely valuable, and completely relevant to my International Studies degree. My main focus was the creation of a short-term training program for a delegation of non-profit professionals from Rwanda. I was able to gain knowledge of the local non-profit community, as well as experience in coordinating with professionals throughout the city. Before coming to the Columbus International Program, I was not particularly well versed in the non-profit world, so this was a very valuable experience. I also worked on multiple other projects, ranging from potential trade partnerships with Sudan to helping evaluate applicants of CIP’s Cultural and Occupational Resource Exchange Program (CORE). I will take the experiences gained at my internship with the Columbus International Program with me for the rest of both my professional as well as personal life." ​"As a Senior in high school, I was a mentee underneath Mark Poeppelman. While I may not have had the same role as an intern, I truly believe that mentoring at CIP was the best experience of my educational career so far. During my time there, I learned about the funding of nonprofits, the complexities of creating and establishing international relations, and the international community in Central Ohio. This mentorship gave me opportunities I never imagined I would have. Whether it was attending a Refugee Integration Conference, organizing meetings between CIP and my school district, or speaking with exchange professionals from Nepal, Bulgaria, and Rwanda, I have thoroughly enjoyed my time here and come to fully realize the importance of the CIP-Us Together mission." 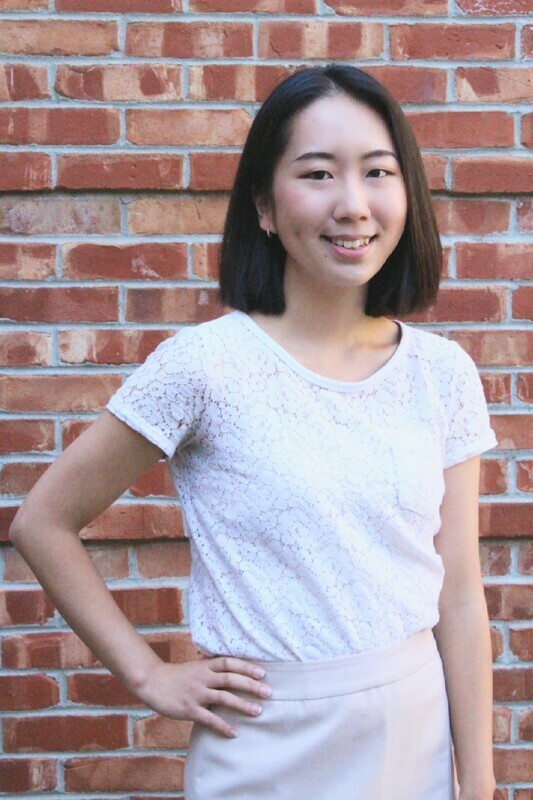 ​"I am a third-year student double majoring in International Studies and Data Analytics and I am originally from Seoul, South Korea. My task as an intern at CIP includes, but is not limited to program development for international delegates and exchange professionals. I am grateful to be deeply involved in many projects to promote civic diplomacy between different countries and cultures. I also have learned a lot about the operations of nonprofits and got to interact with global and local organizations and professionals that are dedicated in the field. It is an extraordinary experience to be able to use my passion, interest, and skills to bring the world together." Apart from working in Spain, Marcus spent time exploring Europe through travelling - here is a picture of him in Lisbon (Portugal). "Interning at CIP was one of the best decisions I made as an undergraduate. My experience with CIP introduced me to the world of international exchange, which not only broadened my international knowledge, but also deepened my connection to local community leaders while I gained first-hand experience with the day-to-day operations of a non-profit organization. Along with meeting dozens of individuals from all over the world and learning about their cultures, I also enjoyed the opportunity to interact with members of the Columbus community who CIP works with every day, from all kinds of different backgrounds. There is no doubt that interning at CIP inspired in me a passion for international exchange and helped me fulfill my dream of working abroad. Add to that the strong connection I feel with the international community in my home city and the many friends I now have all around the world, and my experience at CIP is something I wouldn’t trade for anything." From September 2016 to July 2018 Marcus served as an English Teaching Assistant in a public primary school in Madrid (Spain). After returning from Spain, Marcus now continues to be a part of our team, serving as an AmeriCorps VISTA member at US Together, Inc. in Columbus, OH. "My internship with CIP during the spring of 2013 was one of the most educational and formative experiences of my life. I contributed to a variety of projects that perfectly complemented my international studies and Russian language coursework at The Ohio State University. My primary work consisted of developing two short-term training programs on accountable governance and library science for delegations visiting from Russia and Kyrgyzstan. Outside of the office, my family hosted two delegates from each group, which allowed me to practice my Russian language skills. Through amazing opportunities like serving as an informal interpreter for meetings with Columbus business leaders and learning to cook a traditional Central Asian dinner for our dear guests, I strengthened my desire to pursue a career in diplomacy and made friendships that will last a lifetime." Interns and members enjoy a Kyrgyzstani cultural event.